Every year it feels like there are more and more exciting goings-on for National Poetry Month, and 30 days is just not enough time to celebrate them all! Here are a few highlights from April, including awards announcements, fun articles about the benefits of reading poetry, and much more! 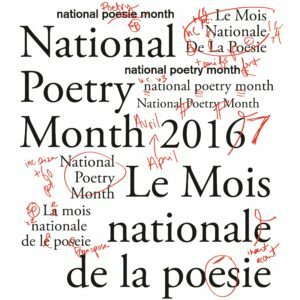 If you ran a NPM campaign this April and you’d like us to add it to our roundup, email nicole@poets.ca. First and foremost, we’re excited to welcome the 16 poets who joined our ranks during National Poetry Month! Welcome to our awesome new members. If you’re interested in joining the League, visit poets.ca/join! On our blog, we shared several posts with the theme NPM and Beyond! to give reading tips, writing tips, and poetry recommendations to use throughout the year. We chatted with several poets to bring you discussion on the act of reading (where? when? how often? 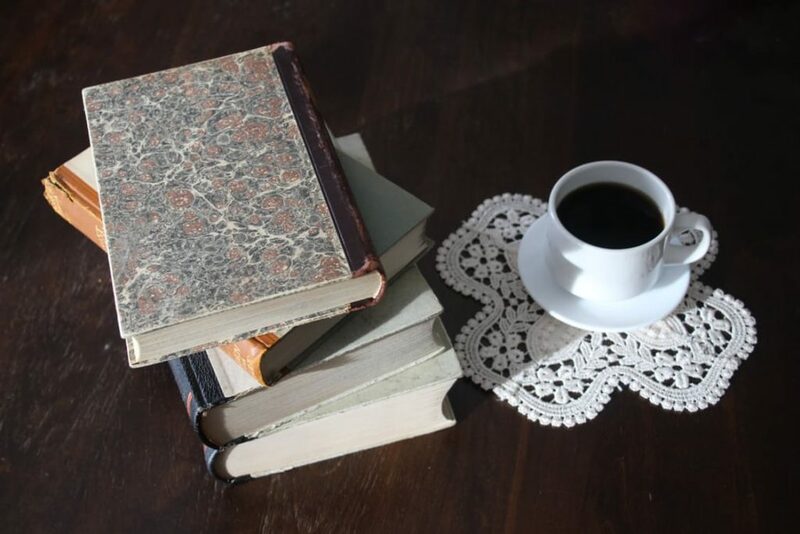 ), favourite books and poets, how poets engage with the editing process, and what some key turning points were throughout their writing careers. We also learned about how to make money through the Public Lending Right, we recommended poetry activities for educators and young readers, we found some poetry recommendations for high school students and poetry-resistant readers, and we rounded up some of our favourite tips for making poetry a part of your day-to-day routine year-round! We were thrilled to announce four major shortlists at the beginning of the month: our Pat Lowther Memorial Award, Gerald Lampert Memorial Award, Raymond Souster Award, and Sheri-D Wilson Golden Beret Award for spoken word. Find out which 21 poets made the lists here! We also announced the six winners of our young poets’ prize, the Jessamy Stursberg Poetry Prize! In a delightful turn of events, the junior category was dominated by two sisters, and in the senior category, the same poet took second and third place. Read all the winning poems here! Our 2017 poetry reading series, the #LCPChallenge, is going strong, and we used NPM to check in and see how yours is going! We’ve completed 9 of a hopeful 24 books. See what we’ve read so far here. During National Poetry Month, we opened the registration to our annual poetry conference. Panels and events are also open to non-members, so check out the programming and register by May 18! We were excited to celebrate Poem in Your Pocket on April 27, with 16 new poems! Poetry Ireland also join in on the #pocketpoem fun! You can read all of the poems individually on our Poem in Your Pocket page year-round. National Broadsheet Contest winner Doyali Islam was interviewed on CBC about her winning poem, “cat and door,” and her personal poetic process. TWUC and the League released two new writers’ how-to booklets during NPM, to guide writers through the process of self-publishing, as well as self-promotion! At the beginning of April, we launched a brand new project featuring the poetry of our associate members! Fresh Voices is a new monthly series that highlights three poems from our amazing associate members, and we launched the first and second issues during National Poetry Month! All Lit Up celebrated NPM with a Poets Resist blog series, a series dedicated to poetry as a form of resistance. Every day, they featured a poet whose work explored one of the following: colonialism and violence, homophobia and transphobia, environmental destruction, and/or the patriarchy. View them all here! Awards galore were announced throughout april, including the Pulitzer Prize for poetry (winner: Olio, by Tyehimba Jess), the Atlantic Book Awards shortlist, the BC Book Awards winners, and the Manitoba Book Awards winners! The Griffin Poetry Prize shortlist was also announced, featuring not one, but TWO Leaguers! Congratulations to Sandra Ridley and Jordan Able, as well as to Hoa Nguyen. Authors for Indies was on the last weekend of our favourite month, and is always a delightful way to shut down NPM! The Vancouver Sun is remembering 150 notable Canadians this year, and during National Poetry Month, one of their chosen Canadians was longtime Leaguer and former Life member Dorothy Livesay. 49th Shelf touted poetry all month long, kicking the month off with a list of time-themed recommendations, and wrapping up with an incredible roundup of spring poetry must-reads. Margaret Atwood, a longtime member of the League, was named one of Time Magazine‘s most influential people of the year! Open Book was also poetry-filled this April, with a wonderful kickoff piece where poets shared their favourite time-themed poetry recommendations. Leaguer Jennifer LoveGrove was Writer-in-Residence for the month, and shared tons of poetry excercise ideas, writing promts, and more, with input from lots of other Canadian poets. As well, 2016 Gerald Lampert Memorial Award winner Ben Ladouceur wrote a beautiful post about the value of writing and not publishing. National Magazine Award nominees were announce in all categories: congratulations to the poetry nominees! Submissions opened for nominations for the next Parliamentary Poet Laureate: the next Poet Laureate will be a francophone poet, and nominations are due by July 3! Submissions also opened for the annual CBC Poetry Prize, which runs until the end of May with a $6,000 grand prize. Bustle put together a list of tips on how to host a poetry book club! The Guardian published a fantastic gallery of concrete poetry at the beginning of April, which you can view here. These 10 essential terms for poets are essential reading for everyone, from LitHub. An iconic poem on a flight of stairs at the University of Calgary was restored during NPM by a team of volunteers. Bryan Prince Booksellers (@bryanprincebks) did a “Daily Stock Check” every day of the month on Twitter, featuring a different book of Canadian poetry from their shelves! The winners of the 2017 Poetry In Voice competition were announced on April 20, 2017, after an exciting finals performance! Two of our favourite poetry festivals take place during NPM each year, the Calgary Spoken Word Festival and the Edmonton Poetry Festival!